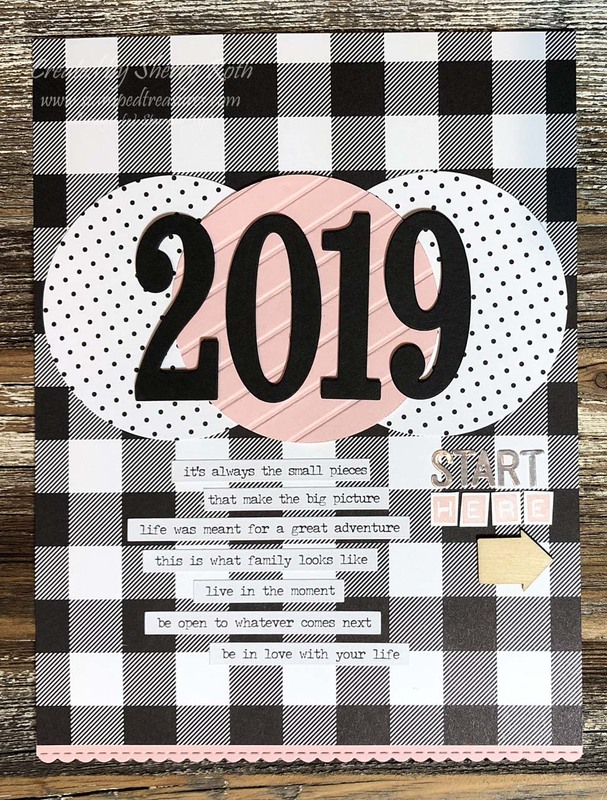 For this weeks memory keeping Monday, I thought I'd share how I plan on documenting 2019. From 2000 until 2018 I've used a 12x12 album as a family album, with some years having 2 albums to hold it all. This year I'm changing it up. It's time to try something different. This first photo is my album title page. I was inspired by 12x12 layout that I saw either on Pinterest or Instagram that had a black and white plaid background and circles but instead of the year, she had photos. I loved it so much that I decided to make it my title page. 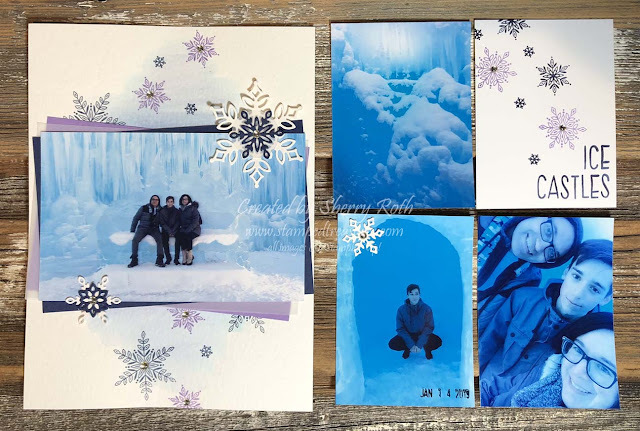 Then the back of that page is my first 2-page spread for this year - our trip to the Ice Castles. I used products from the Snowflake Showcase suite that were available in November - I still love those snowflakes! The background of the full page is a sheet of our watercolor paper. I created a wash in the background and then stamped some of the snowflakes. I love how it turned out. The photo is just matted with several layers of card stock and then I added a few die cut snowflakes. 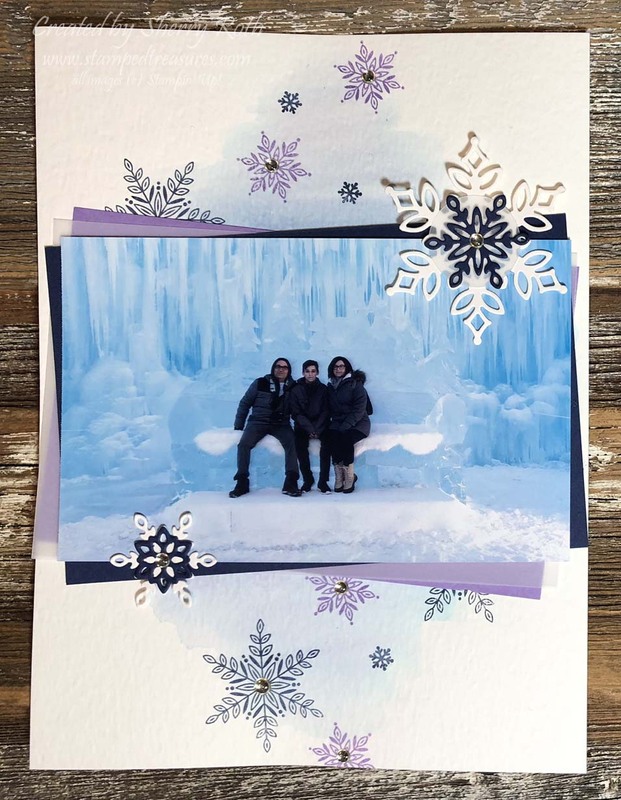 Visiting the Ice Castles was the first item on my 50 before 50 life list that I completed. So while everything was out I created a 3x4 card and printed a photo for that album. Once I have a few pages from that album done, I'll share some photos or do a flip through. If you missed my 50 before 50 post, you can find it here.